Township of Irvington, NJ, Mayor Tony Vauss is someone who truly cares about the Township and the direction it’s going in. That’s because Mayor Vauss is a lifelong resident of Irvington and has been a Township employee for more than 25 years, which has given him great perspective on the demands and needs of the community he serves. Before becoming the Mayor of Irvington, NJ, Tony Vauss knew at a young age that he was meant to be a public servant. Mayor Vauss started as a campaign volunteer at the age of 15, and years later he would go on to be the founder of the Tony Vauss Civic Association, which was created to help meet the needs of youth and seniors in the Township of Irvington, NJ. Under his direction as Mayor of Irvington, NJ, the Township has turned a new page and remained safe and clean. The violent crime rate has been reduced by 80 percent and 35 illegal guns have been seized during the tenure of Mayor Vauss. Within his first year as Mayor, Tony Vauss also hired more police officers and firefighters than the Township had before he was elected. Mayor Vauss has also helped boost the aesthetic beauty and overall economy of Irvington by demolishing more than 60 vacant or abandoned homes and paving or improving 54 streets. He also improved the appearance of Irvington’s Town Hall by fixing its roof and painting it so that it looks as good as new. There is no doubt that Mayor Vauss has had a lasting positive impact on the Township of Irvington, NJ, and he has no intentions on stopping any time soon. 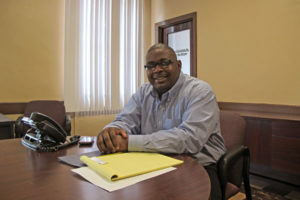 Tony Vauss remains very active within the community and attends almost every council meeting and public hearing in Irvington in order to stay well-versed in the needs of those he serves. It’s not hard to find stories of generous acts and effective initiatives that have been performed by Mayor Vauss, but we’re going to make it even easier for you. This blog will track all of the latest news and information pertaining to Tony Vauss and present it to you in a way that is organized and manageable. 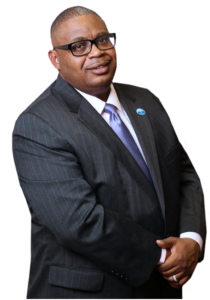 Visit our blog again soon to learn more about Tony Vauss and the many great things he’s doing around the Township of Irvington, NJ. Powered by Tromax Theme. © 2019 Mayor Vauss. All Rights Reserved.